event - is by far the best learning and interactive program I have experienced"
"Fabulous '08 Summit. Classes well thought out for level and content. Great line-up of instructors and music. Definitely a home run." "It was like fantasy baseball for reso players! very much exceeded my expectations! Teachers were incredible & I met great people!" Thanks to our participants for comments like these, and the 4.8 overall rating you gave ResoSummit '08 in the post-event survey. 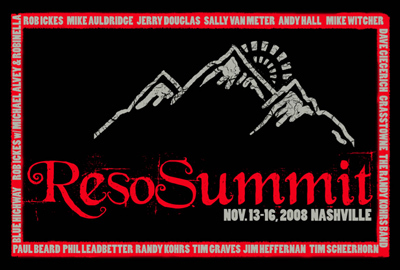 We also appreciate all your great ideas and comments that will help us make ResoSummit '09 the best one yet! 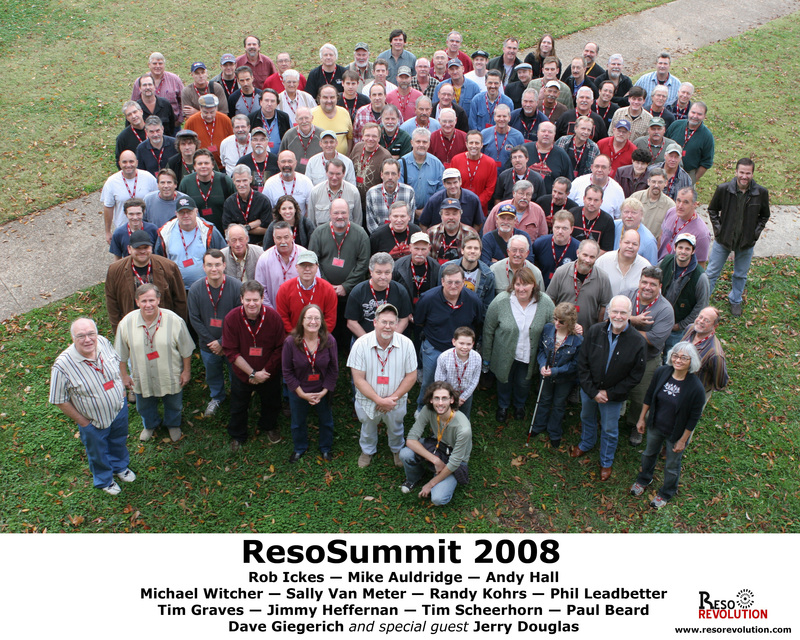 ResoSummit '08 is now one for the history books. Our stellar faculty and 100 great players worked hard to create Maximum Dobro Overload; they are proof that the Dobro chooses special people! Thanks to everyone for a great weekend! We hope we sent you off with enough "home work" to keep you busy until ResoSummit 2009, and inspiration to keep you highly motivated! 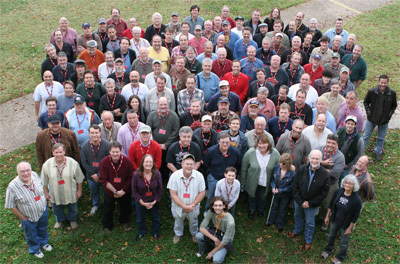 Click here for a high-resolution group photo (approx. 3.25 MB) formatted for 8x10 borderless printing, with a caption and faculty names. 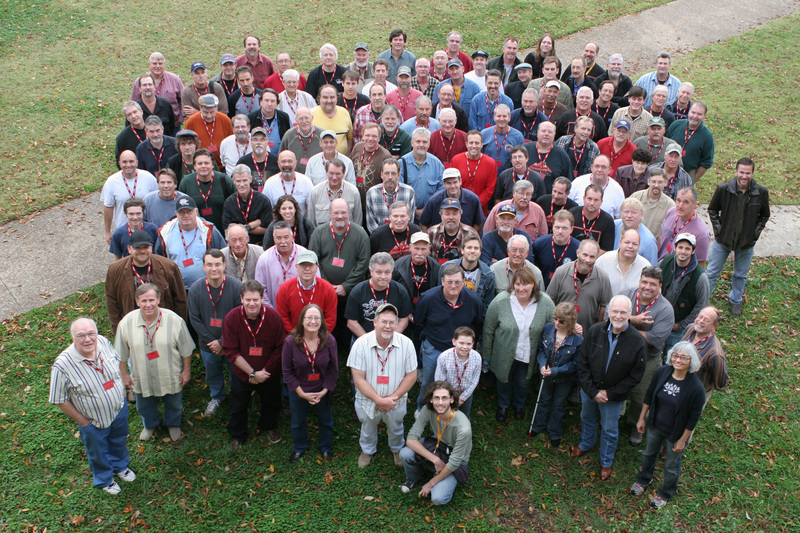 Click here for a high-resolution group photo without caption and faculty names (approx. 2.99 MB), suitable for 5x7 printing. Don't miss our '08 photo gallery! 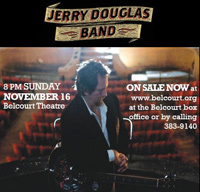 Thanks to the Jerry Douglas Band for a great performance at The Belcourt that took place shortly after ResoSummit officially ended. What a treat!